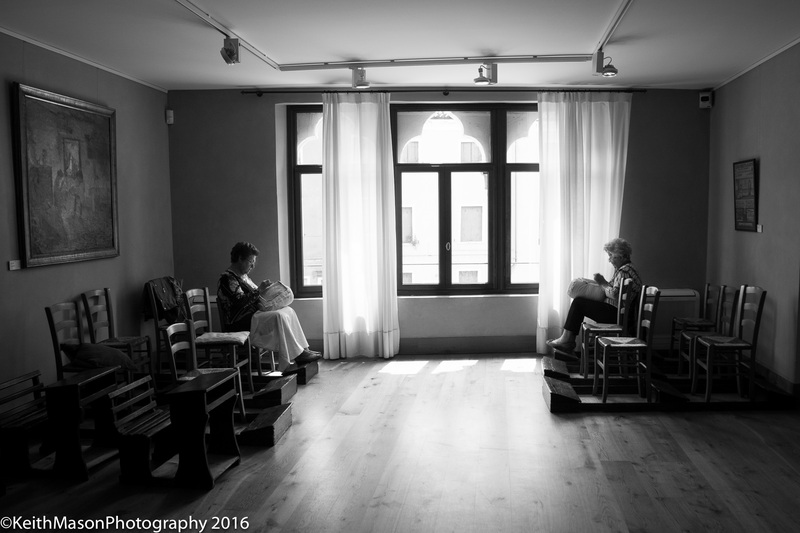 Taken in the lace museum in Burano, these ladies are the last of the city’s lace makers. Their work is so fine and they sit quietly stitching all day. A significant piece of lace can take years to make, and thus once a machine was designed that could do this work, the market for hand stitched lace disappeared. A document to a passing skill.